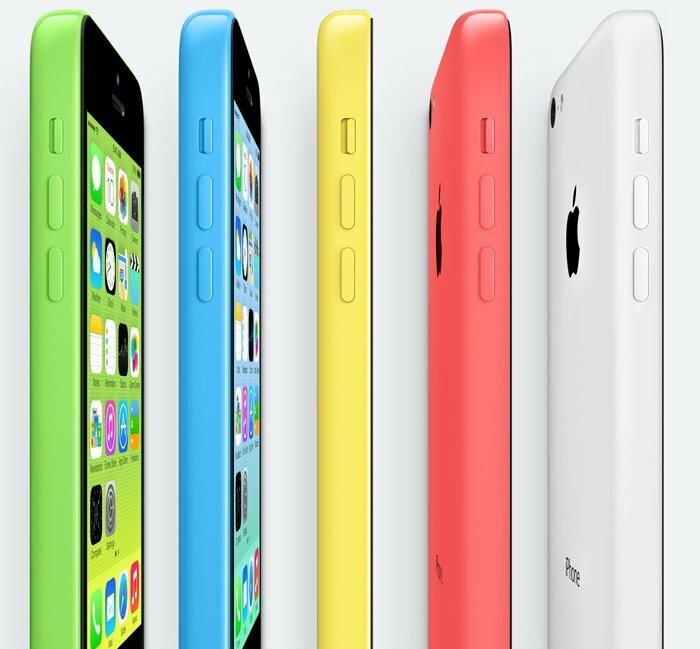 There’s no denying that iPhone 5S is far more popular than the colorful iPhone 5C. Despite its low sales, one cannot just assume that iPhone 5C is not selling well in the market. It is, but it attracts a totally different kind of audience, specifically women. Many people got it all wrong and thought Apple will release an affordable device, but what we got is last year’s model for $100 less, with availability in an array of colors. According to a report from Benedict Evans, data collected from Facebook’s ad platform, he made some conclusions about the iPhone 5S and iPhone 5C sales numbers. Firstly, he says iPhone 5S is selling way better than the color iPhone 5C, which isn’t a great surprise since we’ve seen several reports telling us the same thing. The interesting thing, based on Facebook’s numbers, the iPhone 5C is more popular amongst women than men. 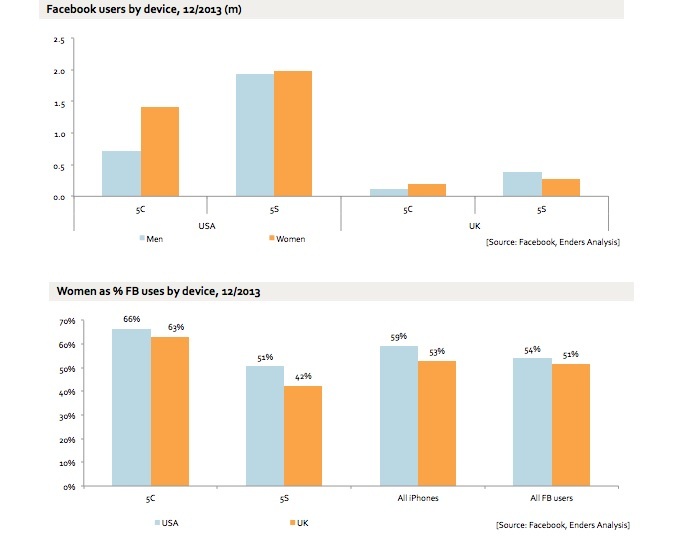 As it can be seen from the graph below, more women prefer iPhone 5C then men in both the UK and USA. The ratio for men and women with iPhone 5S is apparently the same. When we translate the numbers into percentage, it can be seen that 66 percent of the women prefers iPhone 5C in the US compared to 63 percent in the UK, if the ad numbers from Facebook are correct. All iPhones are more expensive relative to the competition in the UK than they are in the USA, where the pricing structure tends to mask the price of phones. Many considered iPhone 5C a flop, but if the numbers from the social networking giant are correct, the iPhone 5C sales numbers are around 2 million, which is not bad at all. What do you think?